This book makes me cry. 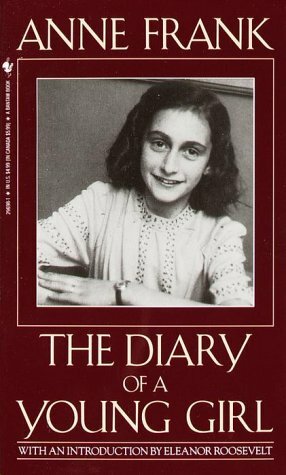 When I read how Anne thought of things as "okay" being in a attic hiding from her death, I thought to myself, "How can this little girl, my age, be so strong?" I would fall to pieces. There isnt even a word to describe it. Stting there caught in an attic. Not making any sound. Whispering to each other. Not playing. No personal belongins. No enjoyment or joy filled in the houses...everything isnt worth living.Then again..isnt anything better than death? This is one strong girl. Doing anything to survive. Fighting till the last breathe being caught and feeling pain for...what? This is the most inspirering book I have ever read and ever will. No one, even if they tried, would know what to have done. She did everythign perfectly right and what she could have. This is what it means to be...real! 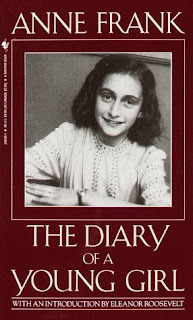 I know its hard to review a book like this but if Anne would be here and see justice ruled, she would cry and run home! I love this book! World War II books are my all time favorite things to read about! I am currently reading The Book Thief and Monuments Men. Got any other good recommendations on books like this to read?